The law offices of Pomeranz, Drayton and Stabnick has been successfully representing employers, insurance carriers and third party administrators in the areas of workers compensation law, including wrongful discharge claims, third party subrogation and employer's liability civil defense for more than 50 years. Over the years Pomeranz, Drayton and Stabnick has emerged as one of the leading workers' compensation defense firms in Connecticut. We are an AV rated firm in Martindale-Hubbell. Many of our lawyers are board certified workers' compensation specialists. We are also a member of the National Workers Compensation Defense Network. In addition to representing local, regional and national businesses, Pomeranz, Drayton and Stabnick also provides defense for self-insured municipalities. 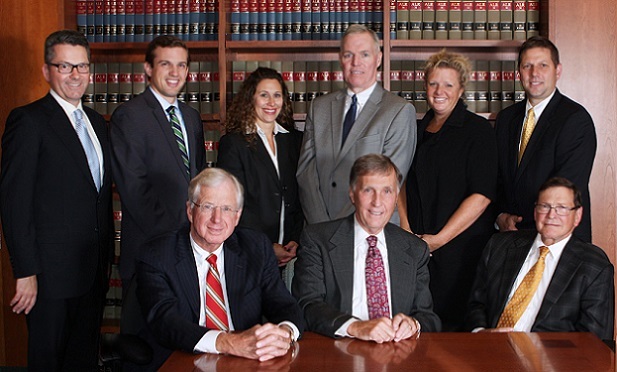 All of our attorneys are dedicated to providing exceptional legal representation to our clients. We assist our clients from the beginning of the claim to the conclusion of the litigation. We advise clients both on specific cases as well as general questions on a daily basis regardless of whether or not a case has actually been referred for defense. It is our philosophy to make a conscious effort to work to resolve issues and communicate our ideas and opinions to our clients to bring files to conclusion expeditiously. We strive to work efficiently to produce concrete results. We have experience in litigating complex legal and medical workers compensation matters. We will also represent our clients in the appeal process starting with the Compensation Review Board to the Connecticut Appellate or Supreme Court. If you are looking for a law firm to defend workers compensation claims for your own company or as an administrator for a self-insured, the most valuable perks they should deliver are results, not those other things. Ask the important questions of law firms seeking your work. (Q)	How many administrative hearings has your firm handled in 2013? (Q)	How many cases did the firm try in 2013? (Q)	Of those cases what were your results? (A)We had 10 dismissed; 27 settled, 11 await decisions and 92 are incomplete. (Q)	How many appeals did your firm argue in 2013? (A)	We have 17 at the CRB and 3 at the Appellate Court. (Q)	How many cases did you settle in 2013? (A)	We settled 632 cases. (Q)	How many lawyers in your firm are certified by the CBA as workers compensation specialists? (A)	We have 4 Attorneys that are certified but Attorneys Drayton and Pomeranz have served on the CBA Examining Committee since it was formed and so they create the exams given to lawyers seeking certification. (Q)	Is your firm recognized by any National Organization for its dedication to the defense of workers compensation claims? (A)	Pomeranz, Drayton & Stabnick in 2004 was the Connecticut representative of the National Workers Compensation Defense Network. (Q)	How many attorneys in your firm are recognized with an AV rating by Martindale & Hubbell? (A)	We have 6 attorneys in our firm that have earned this recognition. (Q)	Has your law firm been published on the subject of Connecticut Workers Compensation? (A)	In addition to lecturing and articles published in the Workers Compensation Quarterly, 3 attorneys in our office co-authored the Connecticut treatise on workers compensation. (Q)	Does your firm have an attorney who is a Certified Medicare Set Aside specialist? (A)	Our firm has on staff one attorney who is a Certified Medicare Set Aside specialist. (Q)	How many of your attorneys have argued Workers Compensation cases in the Supreme Court? (A)	Seven of our attorneys have appeared in the Connecticut Supreme Court. (Q)	Has your firm been retained to file as Amicus Curie for significant legal issues on Connecticut Workers Compensation law? (A)	Our firm often appears on behalf of business or insurance organizations in this capacity. We currently have such a case pending in the Connecticut Supreme Court. We welcome these and any other questions. See how we compare before accepting other perks to retain defense counsel.